Every year since 2009, I have produced an apple-themed image for an apple festival in Westfield, New Jersey, hosted by the town’s historical society. The directions are always: include apples, and focus on each year’s specific decade theme. This year the committee decided on a 50s diner theme (the actual festival got hold of an old-fashioned soda fountain), and let me take it from there. 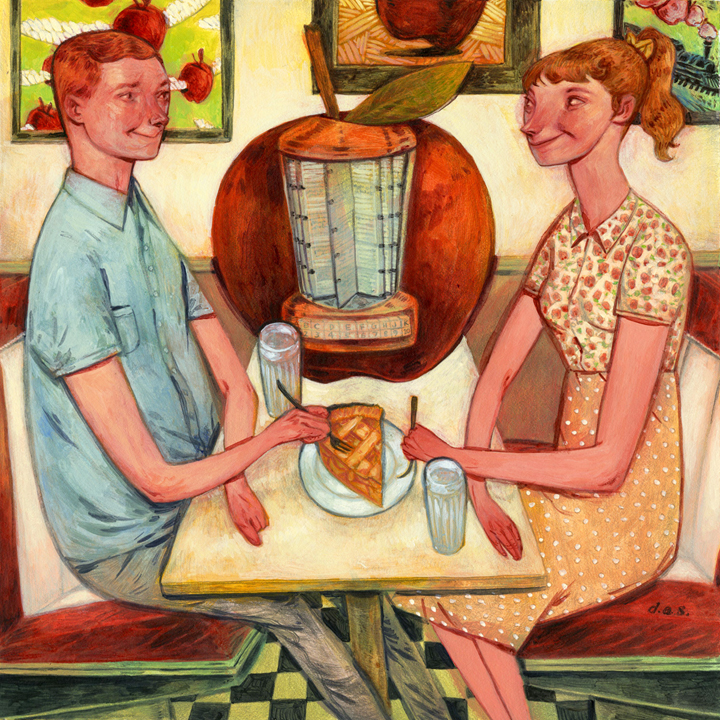 I thought the warmth between a couple out for some pie perfectly captured the feeling of both a small town apple festival, and my relationship with the committee.